The George Gently series is actually based on the Alan Hunter novels involving Inspector George Gently of London’s Metropolitan Police Force. He is based at Scotland Yard, but due to his penchant for getting to the heart of things, without particular regards to the regulations, he finds himself transferred to the North East District of London. Here he faces new and uglier cases than before and also finds himself teamed up with a new and younger partner, who may be just a tad over eager to prove his worth. In this compilation labeled Season One, there are three discs. The first one is the pilot “Gently Go Man”, which first aired on Apr. 8, 2007. It met with great acclaim and set the ball rolling for the rest of the series in 2008. The first two of episodes of that season are also included here. In “Gently Go Man” we are introduced to the main characters just as Inspector Gently’s wife is killed by a hit and run driver which may not have been an accident at all. Rather than retire, Gently finds himself caught up in a similar case, which leads him back to the same people whom he believes killed his wife. A clash of jurisdictions further complicate matters as Gently considers retirement. But not before he solves this case. The following summer saw the release of the first real episode with “The Burning Man” airing on July 13, 2008. In this episode Inspector Gently finds himself with a partner in the form of Detective Baachus, an impulsive young man who is prone to leap to conclusions; but are they all wrong? 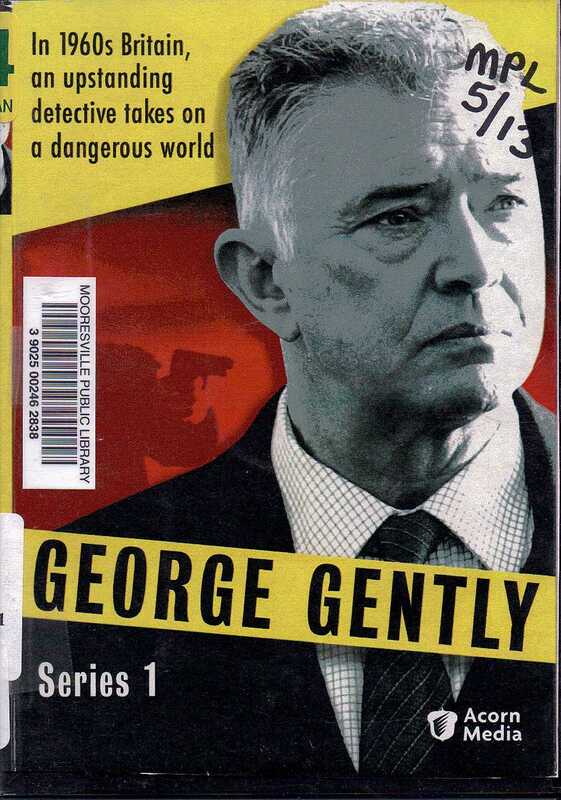 Inspector Gently is faced with solving the case of a badly burned body found near the old RAF base at Huxton. A second murder puts him and Baachus on the scent of the IRA in this cat and mouse episode featuring a faked death and a kidnapping. In the third episode; each airs about 90 minutes; “Bomber’s Moon”, which aired on July 20, 2008, Gently and Baachus look into the murder of yet another man, this time Gunter Scheikel; someone must have had a laugh naming this character; a former POW, who is found in the local harbor, apparently the victim of an accidental drowning. But with a broken back, why was he in the water in the first place? And if he wasn’t there by choice, someone had to put him there. Inspector Gently, along with Baachus, are determined to find the person/persons responsible for this one. Good writing and tight direction make these shows highly entertaining. Like the “Foyle’s War” series, they evoke a palpable sense of England and also what it was like in the early 1960’s, when the effects of the war were still felt in Britain. Great cinematography and acting round out these shows, making them a sure fire hit each time. I can’t wait to pick up the 2nd season. Don Gibson's Grave - Shelby, N.C.